JUDAS PRIEST NEW ALBUM DETAILS & PREORDER! Set for release on Friday 9th March 2018 via Columbia Records – the album is comprised of fourteen tracks of pure and highly inspired metal. And to mark the occasion Priest has reunited with producer Tom Allom (the man behind the board for all of the band’s releases from 1979-1988, including such stellar classics as ‘Unleashed in the East,’ ‘British Steel,’ ‘Screaming for Vengeance’ and ‘Defenders of the Faith‘) and with Grammy Award-winning producer Andy Sneap also helping to raise the sonic bar even higher. 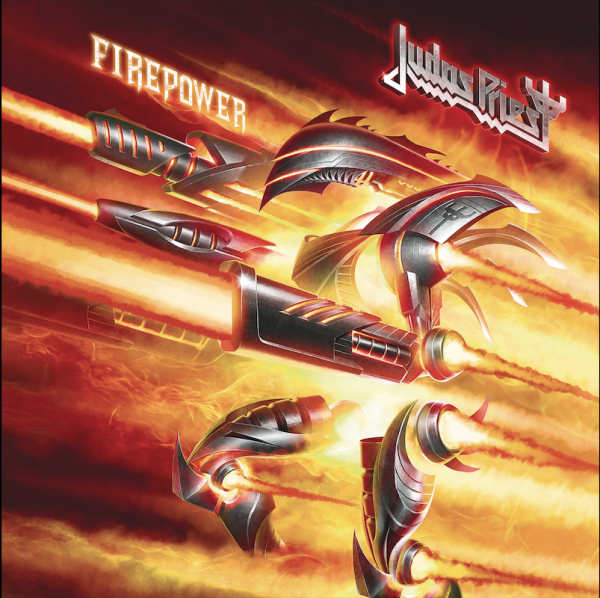 The album is available to pre-order now on CD, limited edition coloured vinyl and digital from the official Judas Priest store here. With the impending arrival of ‘Firepower’ and its ensuing world tour (which kicks off on 13th March in the USA), THE PRIEST IS BACK! Catch Judas Priest at this year’s Bloodstock Festival alongside Gojira, Nightwish, Suicidal Tendencies, Emperor, Mr Big, Watain and many more. Tickets on sale now via this location.